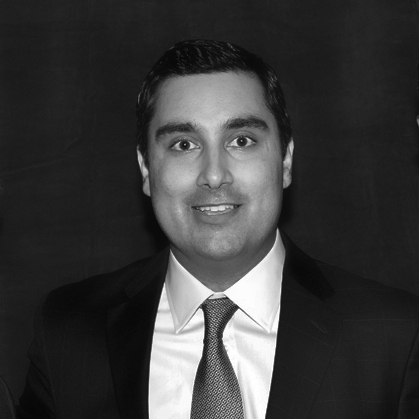 Haroon Khan is the Founder and Principal of Federal Resources Group; a government and public affairs firm with practice areas in financial services, telecommunications, energy, transportation and health care. With over two decades of political and legislative experience working for some of the highest profile and senior members of the United States Senate and the U.S. Senate Committee on Banking, Housing and Urban Affairs, Mr. Khan’s unique blend of talents include a keen understanding of the legislative process, political strategy and the ability to effectively shape messaging to influence policy. Mr. Khan returned to the firm in February 2014 after leaving in 2012 to serve as Deputy Staff Director for the U.S. Senate Committee on Banking, Housing and Urban Affairs. During Mr. Khan’s tenure, the Committee was engaged in oversight of the implementation of the Dodd-Frank Act by banking regulators. The Committee also worked on the re-authorization of expiring programs within its jurisdiction, specifically the Terrorism Risk Insurance Act, Export-Import Bank, Native American Housing Assistance and Self-Determination Act, Defense Production Act and Map-21 Surface Transportation Act. Beyond his work on Capitol Hill and government affairs, Mr. Khan has been a veteran political strategist and served as a top political aid to Senator Tim Johnson, Senator Dianne Feinstein and Senator Chris Dodd. Beginning with Senator Tim Johnson’s first Senate election in 1996, Mr. Khan had been responsible for establishing and overseeing Senator Johnson’s Washington DC based political office and putting together the political and financial framework for all three of Senator Johnson’s successful Senate election campaigns. Additionally, for three election cycles beginning in late 2002, Mr. Khan served as Finance and Political Director to Senator Dianne Feinstein. During the 2008 election cycle, Mr. Khan established Senator Feinstein’s Leadership PAC and successfully designed and implemented a $4.25million candidate assistance program that focused on targeting and assisting the most competitive Senate and House races during that election cycle. Additionally, Mr. Khan served as Finance Director to Senator Chris Dodd prior to his retirement in 2011. During his nearly two decades in Washington, DC, Mr. Khan has also assisted and held advisory roles in dozens of Senate and House campaigns and has served as a senior consultant to the Democratic Senatorial Campaign Committee as a Director of Native American Vote 2004 and 2006. Mr. Khan graduated with honors from the University of California at Berkeley. © 2017 Federal Resources Group. All rights reserved.